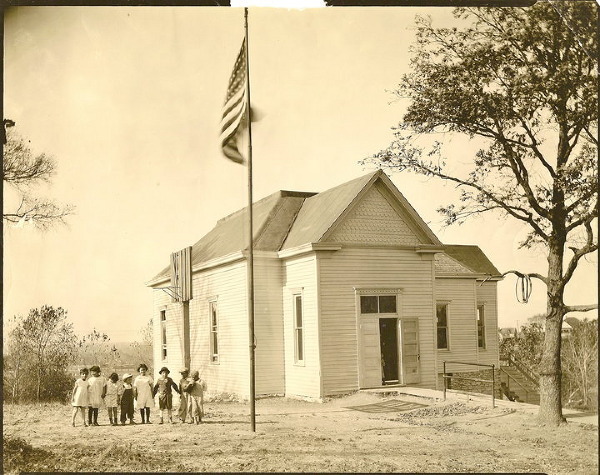 Mexican Schoolchildren outside Melville School (Major Hudson “Mexican” Annex), Kansas City, Kansas, c.1930. Photograph courtesy of the Wyandotte County Historical Museum. Daniel Serda was awarded a 2012 Mid-Career grant in support of his project Nuestra Herencia Americana (Our American Heritage): Challenges and Opportunities for Historic Preservation in America’s Latino Communities. The project proposes to develop an illustrated manuscript for publication documenting challenges to the preservation of Hispanic American Historic Places throughout the United States, along with the potential for historic preservation to be utilized as a development tool in vital immigrant communities. The publication, which will be directed to an audience including preservationists, public officials, public agencies, and Latino community leaders, will contain three sections: a review of challenges and accomplishments of Latino communities engaged in preservation, developed through a sequence of 3-5 case studies; an in-depth examination of the challenges of translating the oral history traditions of one community (Kansas City, Kansas) into a formal local preservation agenda; and a nuanced examination of a “successful” Latino neighborhood in which heritage has been used both to preserve and celebrate the past, as well as to define a public agenda for neighborhood revitalization (the Ybor City District in Tampa, Florida).